- Get 1 size up if you are between sizes (such as 6.5, 7.5, etc). - If you find loose threads, do not pull. Cut with scissors. - We offer a 100% no risk money-back guarantee. 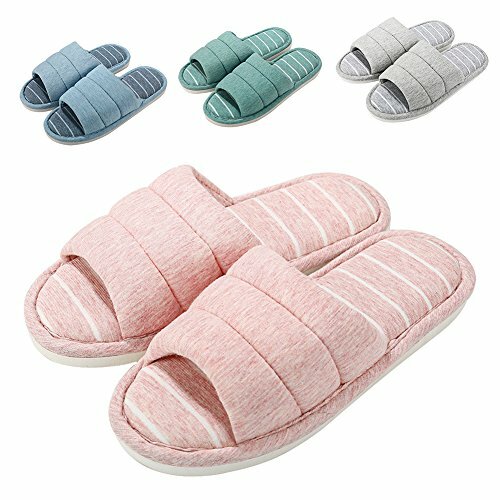 SUPER COMFORT: These house slippers have a memory foam cushion that will keep your feet cozy. The flexible, and high-density memory foam insole reduces your fatigue. WASHABLE: The slippers are washable. Avoid long time soaking and scrubbing. Wash gentlely by hand and pat them till get their original shape. If you have any questions about this product by MeKaren, contact us by completing and submitting the form below. If you are looking for a specif part number, please include it with your message.